The Mt. 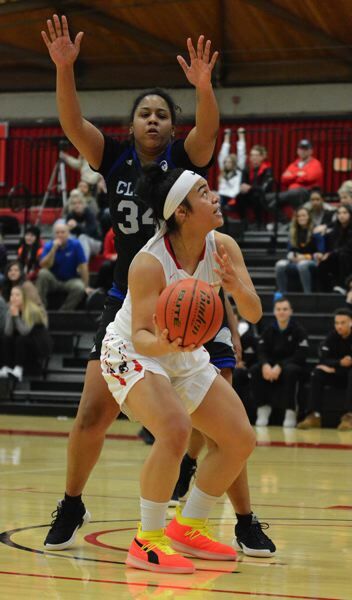 Hood Community College women's basketball team dispatched a pesky Clark College squad with a 29-point third quarter Wednesday to take a 79-59 win. The Saints exploded to a double-digit margin on an 11-2 run early in the second half. Gresham High graduate Madison Allen got things started with a steal that turned into a Kassidy Ellett 3-pointer at the other end. Allen sank a long ball of her own on the next trip down the floor, and Courtney Jackson and Rachel Watson capped the rally with a pair of layups. Mt. Hood turned a five-point halftime lead into a 54-34 advantage heading into the fourth quarter. 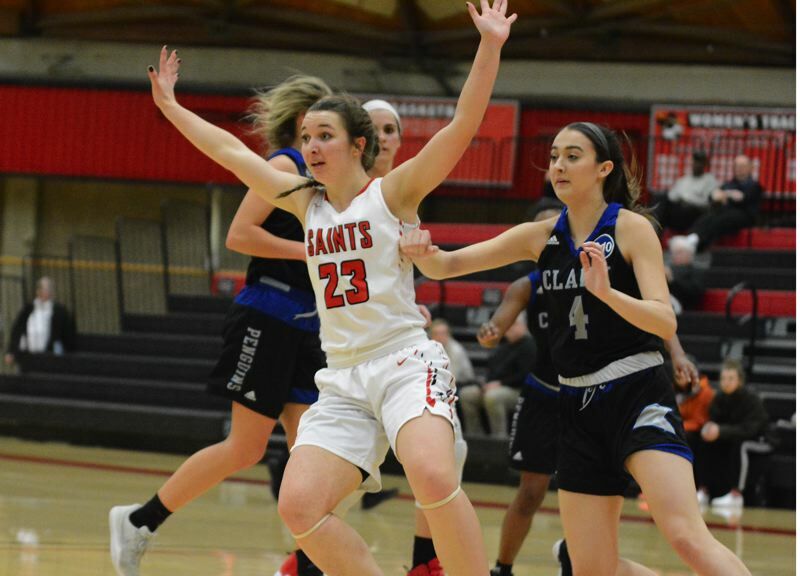 The Saints had Clark doubled up 20-10 early in the game after Atalina Pritchard spun past her defender for a third-chance bucket. Moments later, Ellett lunged forward and slapped a loose ball ahead to Pritchard, who took one dribble to reach the rim for another easy two. Jackson led the Saints with 20 points, while Allen led the defensive effort with four steals. Mahrysa Thomas scored a game-high 21 for the Penguins. The Saints travel to Lane at 2 p.m. Saturday in an early-season battle for first place in the South Region. The Mt. 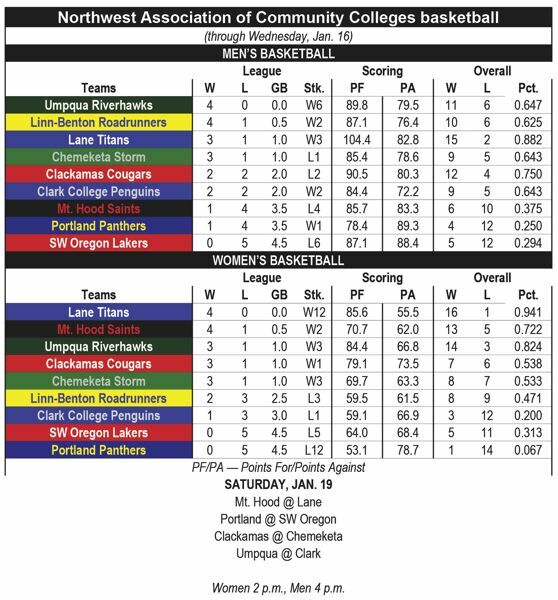 Hood men's team dropped a 76-74 decision to the Penguins when Tyler Fernstrom drilled the winning 3-pointer off an assist from Reynolds High graduate Sam Scarpelli with 0:40 left. The Saints' Sevonyae Smith came off the bench to pour in a game-high 19 points on 8 of 9 (.888) shooting from the field — his only miss coming from beyond the arc. Scarpelli led Clark with 16 points and five assists. The game featured three technical fouls — two of them going against Clark.